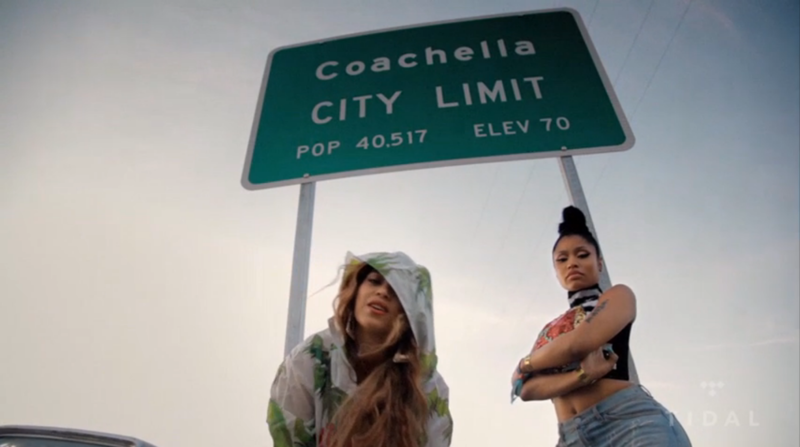 Beyonce and Nicki were spotted weeks ago at Coachella, shooting scenes for their video, “Feelin Myself”, which is lifted off of Nicki’s latest album, The PinkPrint. Well the video is finally available, and where can you find it at? No other place than #Tidal. Click here to watch it.